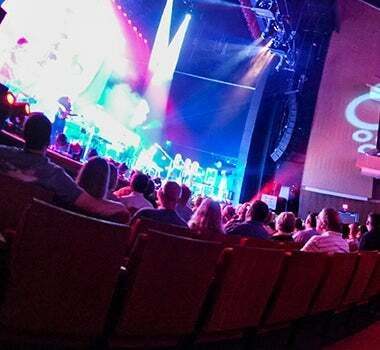 Cool Summer Nights at DPAC - Click Here for a full list of summer events. With their reputation as a must-see live act built from non-stop touring over the past decade, South Carolina natives NEEDTOBREATHE open a new chapter in their story with the release of their fifth studio album, Rivers in the Wasteland, Out April 15. 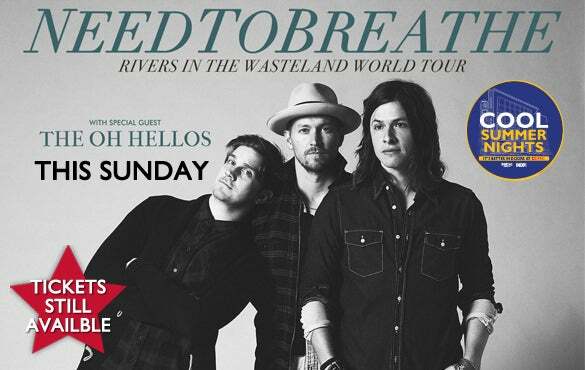 Along with supporting act The Oh Hellos, NEEDTOBREATHE’s Rivers in the Wasteland World Tour will make a stop for one night only at DPAC on Sunday, August 24, 2014. NEEDTOBREATHE followed up the success of their fourth album The Reckoning, which hit No. 1 on the Billboard Rock Albums Chart and No. 6 on the Billboard Top 200, with relentless touring, crisscrossing the country on multiple headlining tours, playing standout sets at major festivals like Bonnaroo and Austin City Limits and performing throughout Europe. With their first four albums selling in the hundreds of thousands, they describe the start of their most recent work, Rivers in the Wasteland, as a desire to return to the band’s roots and find the anchor of musical simplicity. For a commentary on each track in the new album visit SPOTIFY. 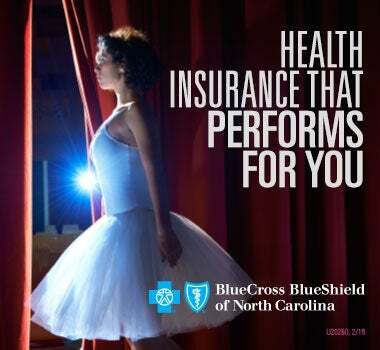 CHARITY: $1 from every ticket sold will go to benefit the Palmetto Medical Initiative. 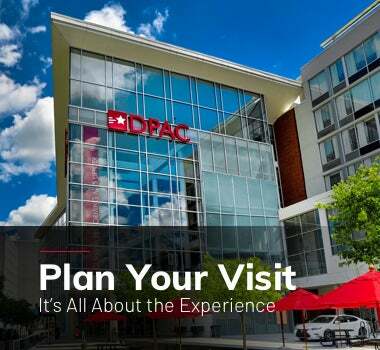 Kids at DPAC: All guests require a ticket, regardless of age. 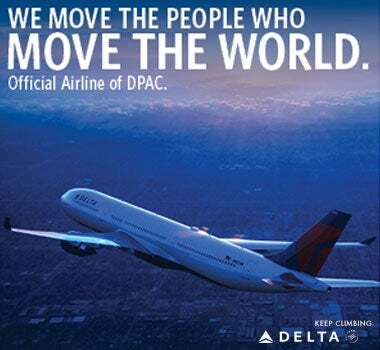 Children under the age of 6 are not allowed at most DPAC performances including Broadway, Concerts and Comedy shows. Children must be able to sit quietly in their own seat without disturbing other guests. 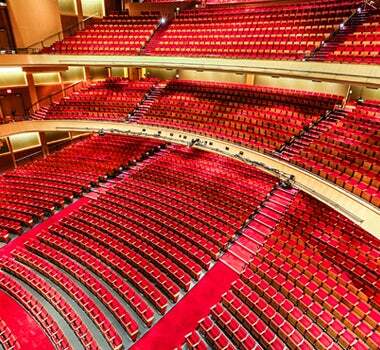 Durham Performing Arts Center is located in Durham, North Carolina. 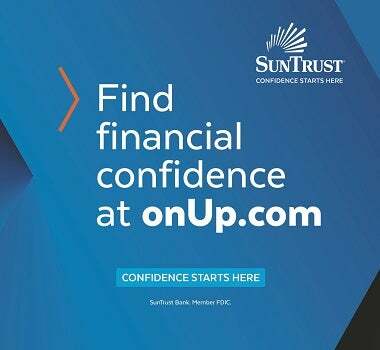 Sales to this event will be restricted to residents of North Carolina and areas of Southern Virginia bounded by I-81 on the West, I-64 on the North and I-85 on the East. Residency will be based on credit card billing address. Orders by residents outside North Carolina and Virginia will be canceled without notice and refunds given. 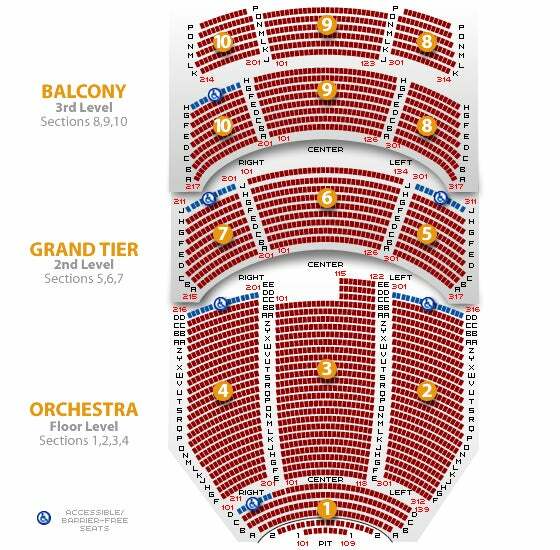 If you live outside of the approved sales area or are using a credit card with a billing address outside of the approved sales area, you can still purchase tickets by calling the DPAC Ticket Center at 919.680.2787. 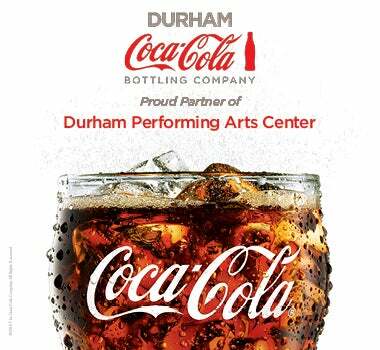 Find tickets at 919.680.2787, Ticketmaster, or the DPAC Ticket Center.